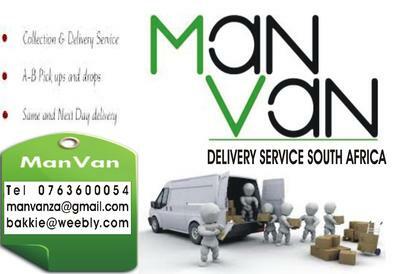 twenty four hours a day,seven days a week, man + van rental, we move anything anytime anywhere... courier services also available , daily jhb-pta-jhb... weekly pta-jhb-dbn (all other points on the n3). we the only professional logistics company catering to the small business owner or private home industry..
we also offer a full logistics and distribution service to small business that needs to expand to jhb, we offer warehousing ,distribution and marketing services,allowing your company to expand to jhb without the additional cost of setting up a new branch. for all your collections,distribution and warehousing needs,contact us so that we can structure an affordable yet efficient package for you..